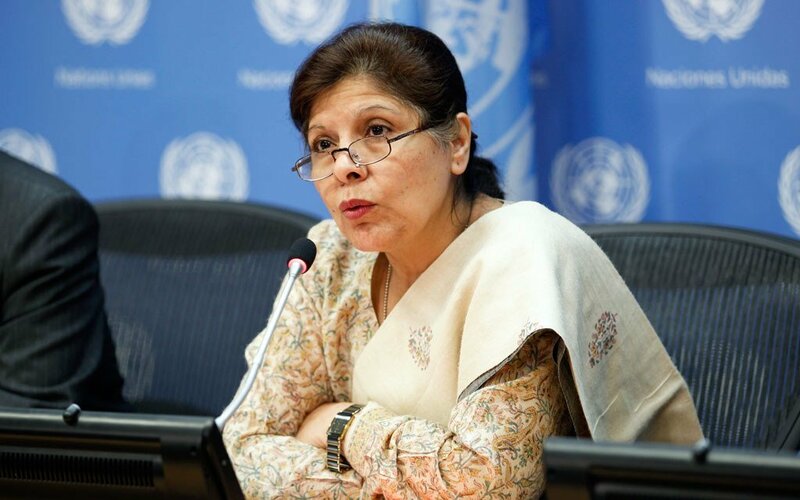 Assistant Secretary-General for Economic Development Shamshad Akhtar. Growth is expected to expand 3.0 per cent in 2014 and 3.3 percent in 2015, compared with estimated growth of 2.1 per cent for 2013, according to the ‘World Economic Situation and Prospects 2014’ (WESP) report preview launched today. “The world economy experienced subdued growth for a second year in 2013, but some improvements in the last quarter have led to the UN’s more positive forecast,” said the UN Department of Economic and Social Affairs and the UN Conference on Trade and Development (UNCTAD). They produced the report in cooperation with the Organization’s five regional commissions. The UN made its predications on factors that include an end to the euro’s protracted recession and somewhat stronger growth in the United States, according to the news release. In the US, fiscal tightening and a series of political gridlocks over budgetary issues impacted growth, but the trajectory is expected to increase 2.5 per cent in 2014. Meanwhile, Western Europe remains weak despite emerging from recession. Fiscal austerity and unemployment are expected to remain “elevated,” according to the report, with predicted growth of 1.5 per cent in 2014 – similarly to the forecasted growth for that year in Japan. Large emerging economies, including China and India, managed to backstop deceleration despite seeing some lowest growth figures in two decades, noted the report, which will be made available in full on 20 January. 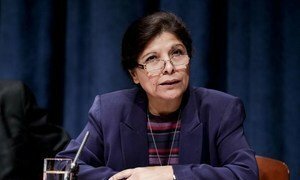 “Our forecast is made in the context of many uncertainties and risks coming from possible policy missteps as well as non-economic factors that could stymie growth,” said Shamshad Akhtar, UN Assistant Secretary-General for Economic Development. The risks include a “possible bumpy exit” from the US Federal Reserve’s quantitative easing (QE) stimulus – such as bond-buying programme – started in 2008 which is under discussion by the Fed’s central policy-making body this week in Washington DC. Pingfan Hong, Chief of Global Economic Monitoring Unit at DESA told journalists in New York. A pull-out could lead to a surge in long-term interest rates in developed and developing countries. It could also lead to a sell-off in global equity markets, a sharp decline of capital inflows to emerging economies and a spike in the risk premium for external financing in emerging economies. On the other hand, keeping the QE for too long could make a future exit even more difficult. Central banks are just “waiting on a tiger’s back difficult to manage a safe dismount,” said Mr. Hong, who is the UN team leader for the report. Given the complexity and variety of such challenges, the report calls for stronger international policy cooperation and coordination. “Policy makers in developing countries and economies in transition face a series of both international and domestic challenges. This will require tough tradeoffs, and possible institutional and structural reforms on the positive side,” Ms. Akhtar told journalists. She stressed that new policies should focus on a balance between an improved recovery, particularly job growth, and a mitigation of spillover effects from the tapering of the quantitative easing in major developed countries. Improved policies are also needed to advance the reforms of the international financial system. Progress in financial regulatory reform has been slow, encountering growing resistance from the financial industry. The report adds that more forceful efforts are needed to address the issues of international tax avoidance and evasion, particularly through tax havens. Global economic growth will continue to be “below potential” this year, according to a report released today by the United Nations that adds that job creation will be vital to spur recovery.